The worship experience at Suburban Temple – Kol Ami is based on Reform Jewish teaching and ideology. 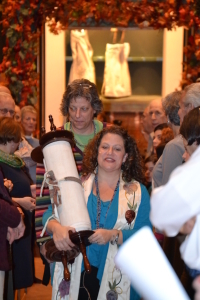 Rabbi Allison Vann, Music Director Cantor David Malecki, and monthly, our congregational choir Kolot Kol Ami engage the congregation in a meaningful and spiritual experience. All Friday night services begin at 6:00 p.m. throughout the year. Every Shabbat service held in our sanctuary can be viewed via LiveStream. The link is above.